A box. Or, wait, four boxes. I was going to make a post about something completely different, but it was harder than I thought to find all the pictures that I wanted. 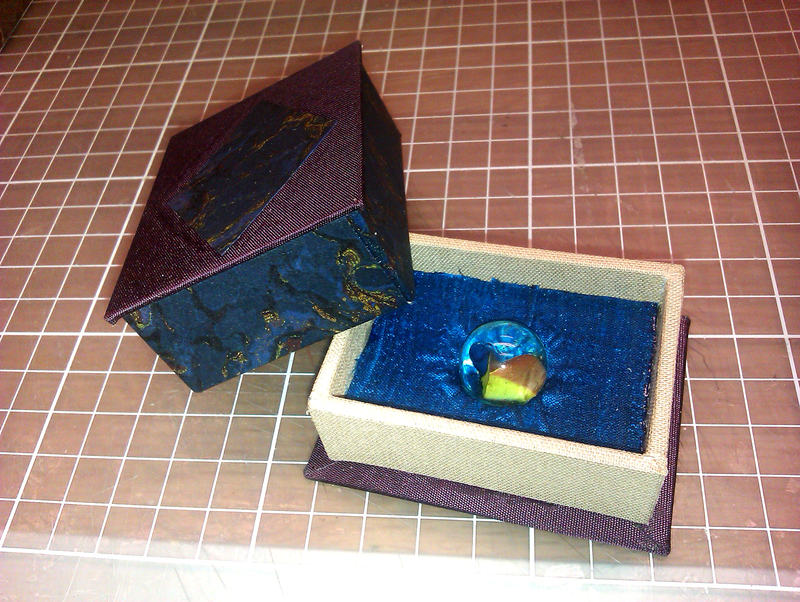 So here is instead a cool box I made. The swirly things are what keeps the lid shut. 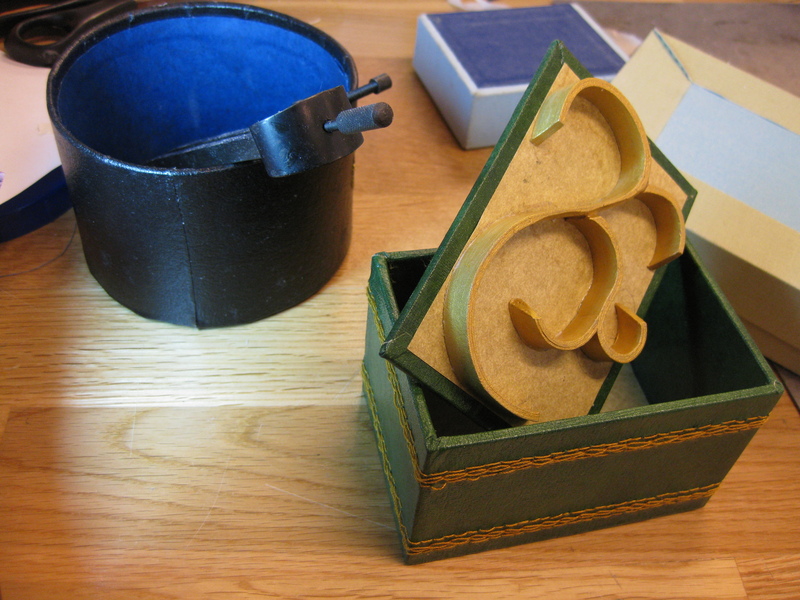 It’s also posing with three other boxes I made that aren’t nearly as fancy. This summer, I had plans. I was going to sew clothes and write lots and and and… and I read Sherlock fanfiction the whole summer. I’m not that surprised, really. One author, Katie Forsythe, really had the voice of the original books perfectly down. The thing is, since the text was so like the books, I felt that it needed to actually be a book. It would fit so well between covers of leather and marbled paper. My fingers itched for a chance to bind it. So I mustered all the courage I had (I’m kinda shy, and absolutely terrified of talking in English to people on internet, especially people I admire) and asked Katie Forsythe for permission to print and bind her works. The format is called dos-á-dos, meaning back-to-back in French. I call it tvillingband in Swedish, twin binding. I wanted to make a box to protect the book, and ended up with a box that I’m tempted to make another box to protect… I made the cover papers especially for this project. Since the seventeenth step in the title refers to the 221b Baker Street staircase, I printed the title… well, like a staircase. Procrastinating, as usual. I found some scrap cardboard and bookcloth. 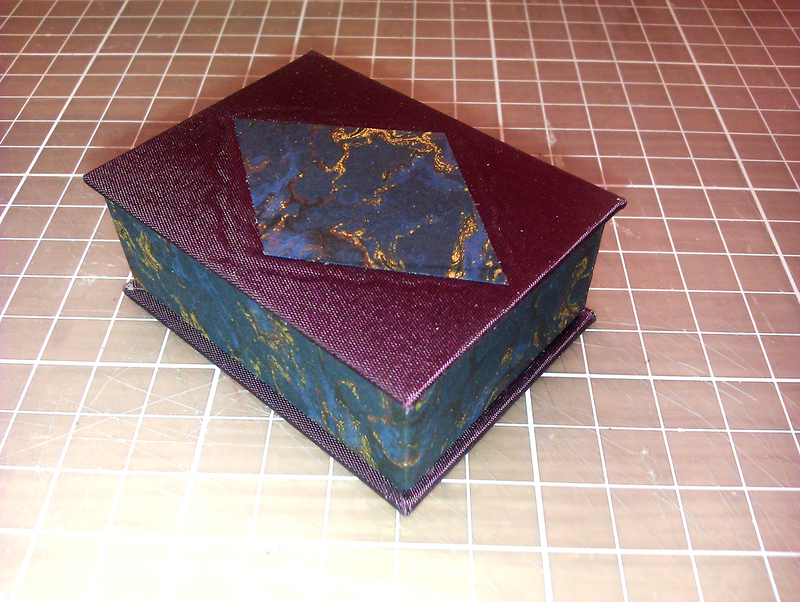 Together with some blue silk and a marbled paper I bought two years ago in London but have never used, it made a pretty little box for my marble. This marble, you see, deserves a box of its own. It has travelled about 7572km from USA to little Leksand. Why? Read more here!